Recently I went to a concert (a regular concert, not a rave) in Sacramento this past Saturday to see a couple artists perform. Some of the ones I was more looking forward to were Bastille, The Dirty Heads (Britney is a big fan), and one of my favorite artists of all time, Odesza. We decided to treat ourselves and purchase VIP tickets instead of regular General Admission (it was $90 vs $50, we don’t ball that hard). Amongst a few nice amenities, the greatest thing about upgrading to VIP was how much more space we were afforded compared to general admission. If you have attended a good amount of concerts you know how general admission can get shoulder to shoulder packed, and last Saturday was no exception. Another perk in addition to being afforded the extra space was that the viewing area for the main stage was on a grass soccer field. Britney then had the great idea to take off our shoes, and I joined her in this endeavor, and as minuscule as it sounds, it was one of the highlights of the night. As simple as it sounds walking barefoot on some nice grass is an amazing feeling. As we watched some very talented artists play and danced the night away to Odesza (yes I dance, especially barefoot on grass), I was reminded at how different it feels to move around barefoot. I felt significantly more in tune with my body and my movement. The next day I looked into the science of feet a bit just to get a better understanding of why it felt so different to be barefoot. After looking into the physiology of the foot a bit more, I found out this instance at the concert was not simply a fluke event. The human foot is an incredible piece of evolutionary engineering, that has unfortunately been dulled over centuries of underuse and restriction. You’d be surprised at how complex the human foot is. Feet are some of the most nerve rich parts of the body. Each sole of the foot is actually packed with about 100,000-200,000 exteroceptors (nerves that gather information from the outside world). This allows the feet to gather a ton of feedback from the outside world when it comes in contact with surfaces. Unfortunately, the current shoe trend is to have bulky, padded shoes, that block off feedback from surrounding surfaces. This reduces the foots ability to provide feedback to the rest of the body. If you are confused by what I mean, put booties on a dog and watch it try to walk around. It has a very hard time moving through space in a natural motion because a lot of the sensory feedback that it gets from its feet is decreased. Obviously humans and dogs are not the same, and we don’t instantly lose all motor control once we put shoes on, but the comparison illustrates my point. Feet are incredible, and are without a doubt an underutilized part of the body. We need to work the feet just like we work other parts of the body. You don’t wear super tight and restrictive gloves all day, so why do that to the feet? When we are constantly wearing constricting work shoes, or bulky running shoes, we are not utilizing feet in their full capabilities. Im not saying ditch shoes and start strutting around barefoot. And I’m not saying you should start going shoeless inside the gym….cause you know dropping a plate on a barefoot would hurt. 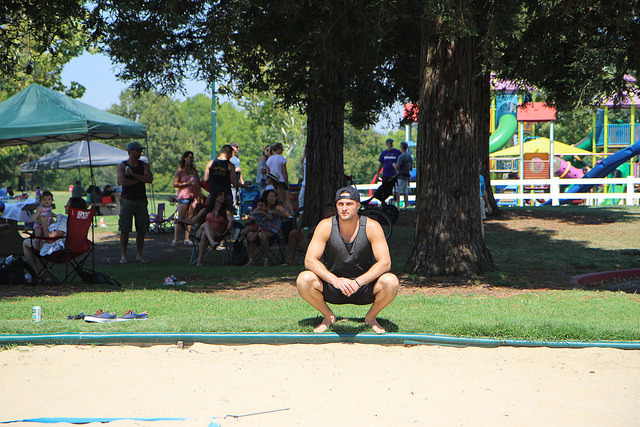 Instead when an opportunity arises to move around barefoot, take it. 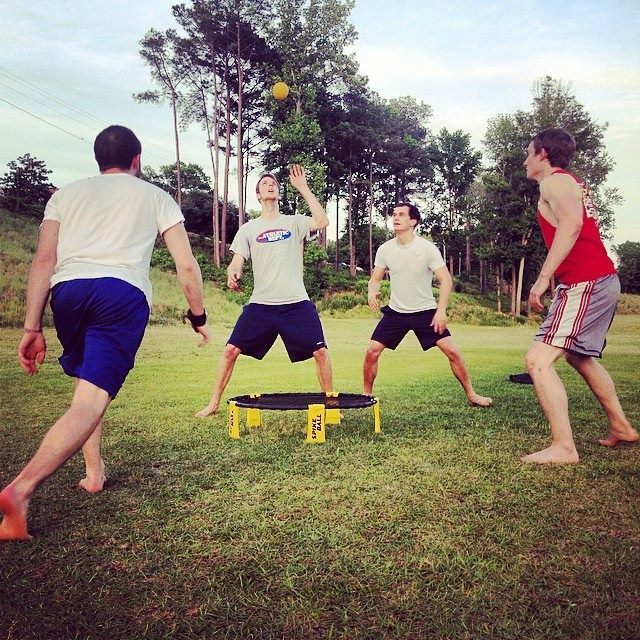 Some easy ways to do it are to go for a walk, play a sport (like spikeball), or go for a jog, barefoot on some grass. You can also do the same on some sand at the beach! You’ll be surprised at how different it feels, and if you decide to run, you’ll notice how much different you run when you’re barefoot….that in itself is a topic for another post 😏.